Team Digital are the experts in providing the latest in equipment and training for the professional photographer, photographic enthusiast, educational institutions and business. Their highly-trained staff also specialise in Adobe training - including Photoshop, InDesign, Illustrator, Acrobat and Premier Pro Print - as well as website development and graphic design using the latest PC and Apple hardware. The company offers all types of photographic equipment, including Canon, Nikon, Sigma, and much more. Other technical equipment available at Team Digital includes studio lighting from Elinchrom and computing equipment from Apple, Eizo, Adobe, and Wacom. The friendly staff also sell and support a huge range of Epson printers, and carry a large selection of different media for all your business needs. 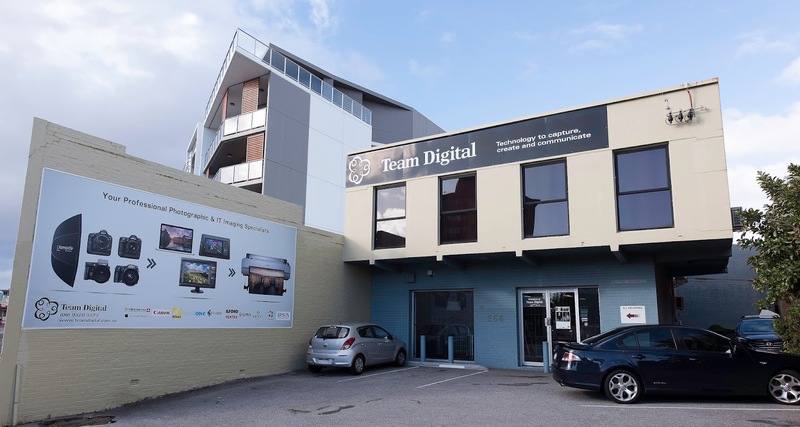 Conveniently located at 268 Lord Street, Perth, Team Digital is only a few minutes drive from the CBD. As a proud FiPP sponsor, Team Digital urges all of their customers to enter the 2017 FiPP competition.